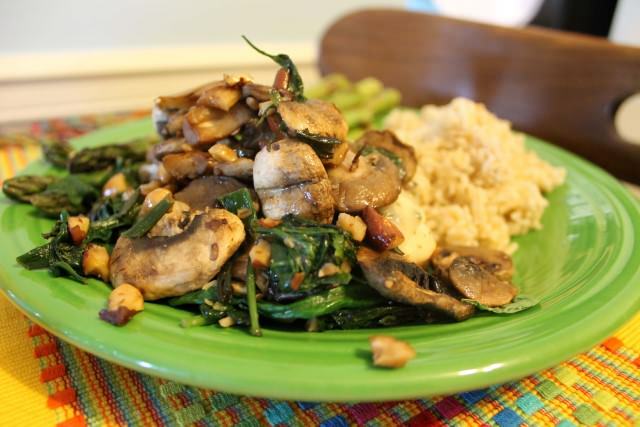 Add the oil to a large skillet and sauté the spinach, mushrooms and nuts together until tender. Set aside. Season the chicken with the poultry seasoning, salt and pepper. Cook in the skillet until browned and cooked through. Top each chicken breast with a slice of cheese and smother in the mushroom mix.